Neil deGrasse Tyson is awesome. He is an engaging astrophysicist who has cuaght pop culture by the throat. I was late to the party on this one but ever since the I heard him on the Ron and Fez show, I’ve been complet ely on board. He is a total genius; one who has not only been meme-fied, but has also worked on an album with GZA (The Genius). He has his own radio show, StarTalk, where mixes pop culture and science in to a perfect blend. I mean look at all the insanely awesome people he has had on his show in the picture above. He even has a twitter, where he just ripped Prometheus a new one. His assessment of the film really isn’t far off, especially the Mission to Mars jab (I actually really liked Prometheus… I think). 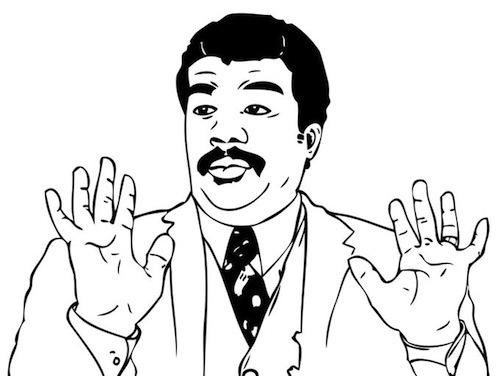 At the end of the day, Neil deGrasse Tyson is, simply put, a badass. 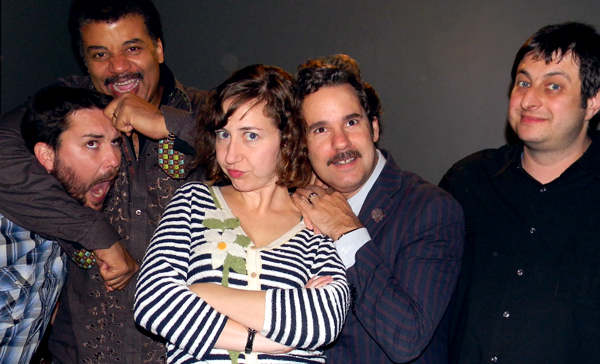 Check out some more of Neil deGrasse Tyson below or listen to him on ronbennington (hint hint nudge nudge) interviews. ronbennington (I can’t make it more obvious) had two fantastic conversations with this immense genius. 08 Jun	This entry was published on June 8, 2012 at 9:59 pm. It’s filed under radio and tagged neil degrasse tyson, prometheus, rage comic, ron and fez, ron bennington, science, space, startalk. Bookmark the permalink. Follow any comments here with the RSS feed for this post. Older: So this is how you do things, Diageo?